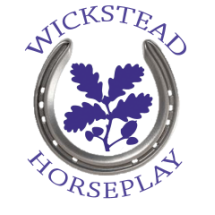 Wickstead Horseplay was created in the Summer of 2014 and comprises of a versatile arena for hire. All Weather Cross Country to include steps, ditches, corners, arrowheads and water jumps, catering from small to more advanced fences. Designed to help training in all weathers so horses become secure over fences and ready to tackle XC courses in competition. Our Arena can be booked for a minimum of half an hour and for a maximum of a whole day by individual request. A half hour booking at the set rate is for a maximum of two horses and an hour booking is for a maximum of four horses. Extra horses in the same group can be accommodated at a cost of £10.00 per horse for each hour required. It can also be booked by Pony Clubs, Riding Clubs or by other Groups requiring longer. See our Booking Calendar page for more information on Bookings. Please note that we do not have arena lighting so please ensure you consider the timing of your booking during winter months. ﻿Car and lorry parking is available in the main Wickstead parking area. Standard and disabled toilet facilities are available.